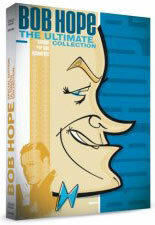 Bob Hope Specials / Bob Hope / TVparty! 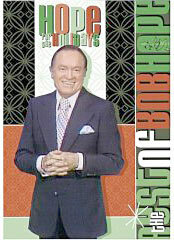 The Bob Hope Special was the longest-running television series of all time. No one who wasn't born between 1900 and 1975 could possibly understand what Bob Hope meant to the entire fabric of this country. He was safely sarcastic and a constant throughout his time across all media. 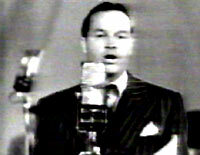 Bob Hope started out in vaudeville, later launching a massively successful radio and movie career almost simultaneously. Hope first entered radio in 1933, but after The Big Broadcast of 1938 turned into a box office hit, he really caught fire. 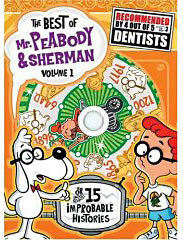 NBC's The Pepsodent Show Starring Bob Hope was the highest-rated program on radio during the second World War. 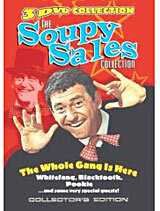 Wisecracking Hope was one of the only radio and film stars to make a seamless transition into the new TV medium, and he did it by making each show a special. 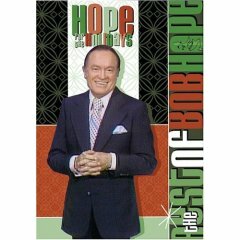 Hope began his monthly and semi-monthly television specials in 1950 when he was still the number-one box office draw in the land, starring in a long string of Paramount Pictures like Fancy Pants, Monsieur Beaucaire, Caught in the Draft and, of course, the seven classic 'Road' pictures with Bing Crosby. Hope made a total of 53 films in his career; in most of them, Bob played the cocky (but cowardly) 'lady's man' who almost never got the girl. Along with Jack Benny, Fred Allen and Edgar Bergen, Hope continued to be a big draw on radio until the early-fifties - but he ended up having more success in television than any of his radio contemporaries and outlived them all as well - by decades. Bob Hope never wanted a weekly television series, wisely deciding that his brand of humor might get stale presented week after week on the small screen (and the screen was really small back then!). He was right; over the next decade, Hope saw most of his radio buddies fall by the wayside as they failed to make the transition into the new dominant broadcast medium. The first Bob Hope special debuted in October of 1950 as the most expensive television program made up to that point - costing an astronomical $1,500 a minute to produce. 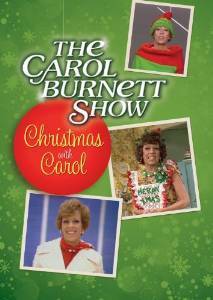 The show featured guests Beatrice Lillie, Douglas Fairbanks, Jr. and Dinah Shore in a 90-minute tour-de-farce of old vaudeville routines. The second Hope special six weeks later had comically sophisticated Beatrice Lillie returning (she won rave reviews for the first one and appeared on many of the early Hope specials) with special guests Frank Sinatra and Peggy Lee. 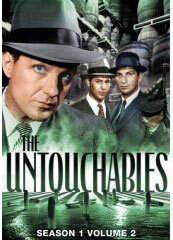 This show marked Sinatra's first appearance ever on television. 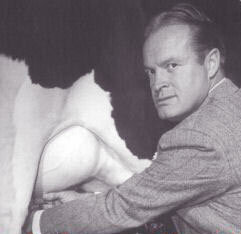 There were five subsequent Bob Hope specials on NBC during the 1950-51 season, each getting fair ratings and mild reviews. 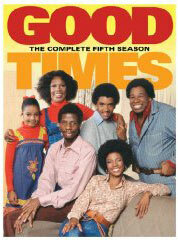 Before long, Hope was consistently scoring top ten ratings - and did so throughout the rest of the fifties, sixties, seventies and eighties - a record that is not likely to ever be beat. 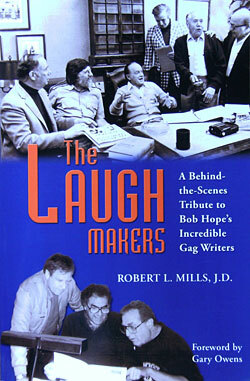 During the 1952-53 season, NBC rotated Hope productions with other variety shows in a Sunday night block known as The Colgate Comedy Hour. For the next three seasons, The Bob Hope Show was broadcast once a month on Tuesday nights, giving Milton Berle a week off. Bob ended his radio show in April, 1956. 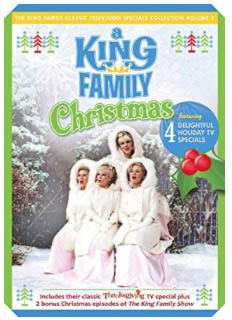 In 1948, Hope began a Christmas tradition of touring overseas military bases, eventually filming these shows for television starting in 1954. 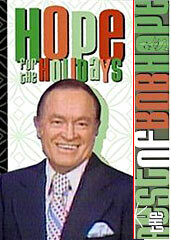 90-minute Bob Hope Christmas Specials were broadcast every holiday season until 1972. "As we flew in today they gave us a twenty-one gun salute. Three of them were ours." 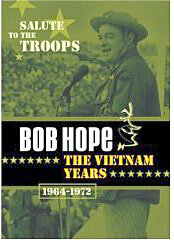 "Bob Hope," former Today show host Hugh Downs once said, "cuts across every strata of America and reaches everyone with a TV set or a G.I. dogtag." 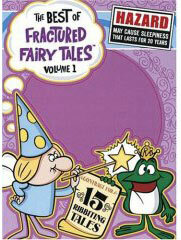 This practice became controversial in the mid-sixties when public opinion started turning against the war in Vietnam. The comedian kept on going, despite the controversy - saying it was the troops that mattered, not the war - managing to show his support for the soldiers without coming across as too much of a hawk (as John Wayne was happy to do). 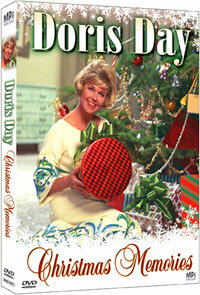 Hope began hosting the Oscar Awards telecast in 1960. He performed those duties for a total of fifteen years, another record no one will likely come close to. In 1941 (during the height of the second World War), Bob Hope brought an extravagant USO show to March Field in California - showcasing top Hollywood performers and dancing bathing beauties for the battlefield-bound troops. An overseas tour for combat troops followed. 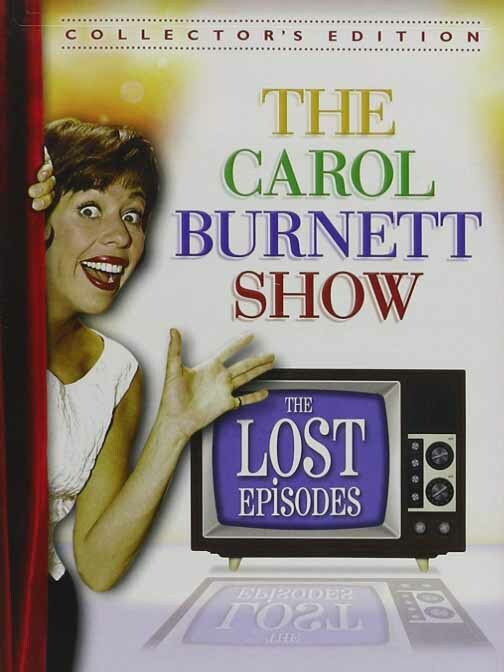 One memorable show was done impromptu on a tree stump for the marines that were headed for Guadalcanal - the next day, most of the boys in that audience were killed in that infamous, bloody battle. 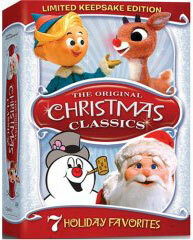 Order Bob Hope Christmas Specials Here! 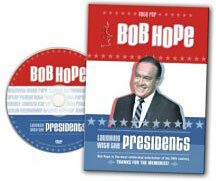 Bob Hope Specials on DVD!